What makes a smart device so smart? Hey STEMologists! Have you accepted the Re-set the ‘stat Mission? It’s all about fighting climate change by adjusting the temperature of your home, and a great tool that can help you do this is a smart thermostat. It’s just one of the many smart devices that makes our lives easier, but have you ever wondered what makes them so smart? Keep reading and find out! 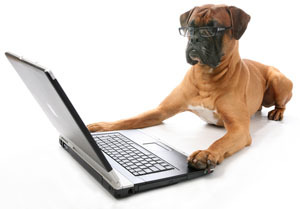 You know how you use the internet to look stuff up and chat with your friends? Smart devices use the internet too! Things like appliances, cars, and yes, even thermostats, can use the Internet of Things (or IoT for short) to receive and exchange information. Here’s how it works:Each device that is connected to the internet makes up the IoT. They share information through something called the cloud – no, not the ones in the sky, but the technology cloud. The technology cloud lets devices and computers that are really far away from each other connect and share information. It is a network of different systems that stores data like photos, videos and other information (cloud storage), allows you to make updates to that data (cloud services) and has really powerful computers that run apps and websites (cloud servers). Through the cloud, you can control your smart devices and access their data from anywhere just by opening an app on your tablet or phone. What can smart devices do? 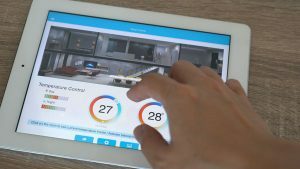 How does a smart thermostat help you save energy? First, you need to know what a thermostat does: it lets you control the temperature of your home. If you’re too cold or too warm, just adjust the thermostat and you’ll be comfy in no time, but be careful about how much you adjust it because heating and cooling your home uses a lot of energy. Here’s where smart thermostats come in. Imagine you’re at school and your parents are at work. Your parents could adjust the thermostat from their phone so it wouldn’t have to work as hard to keep your house warm or cool from 8AM to 4PM, allowing you to save energy. Some smart thermostats can even ‘learn’ when you’re home or away and adjust the temperature on their own. If you’ve shared your phone’s location, your smart thermostat can even warm or cool the house as you get closer to home. We think the technology that makes these devices so smart deserves an A+! 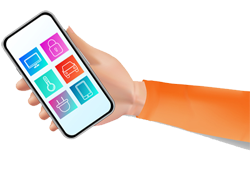 • Smart devices are ‘things’ that are connected to other ‘things’ through the internet. Together, they make up the Internet of Things (or IoT for short). 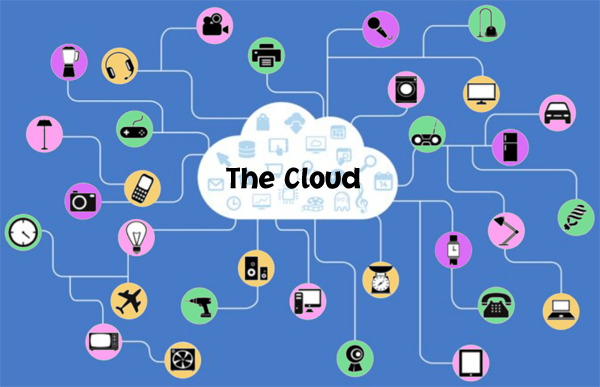 • Smart devices share and store information (data) using the cloud (the technology cloud, not the white fluffy things in the sky).